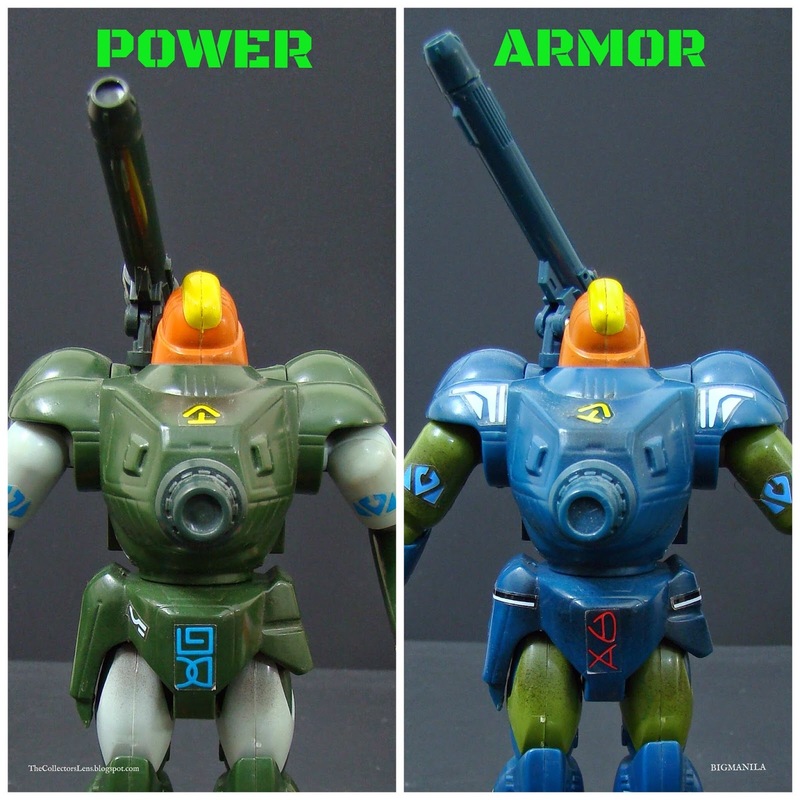 I found these Zentraedi Power Armor Quadrono Battalion Action Figures on Craigslist. This guy was selling his whole collection of Action Figures.I Guess he got older and married with kids and it was time for him to let go of his collection. 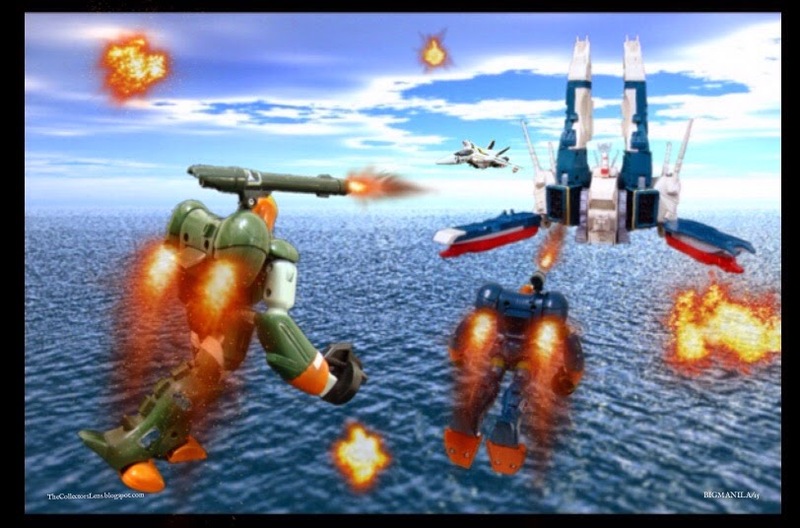 Now adays I think it's harder to find these robotech figures unless you pay a high price online. 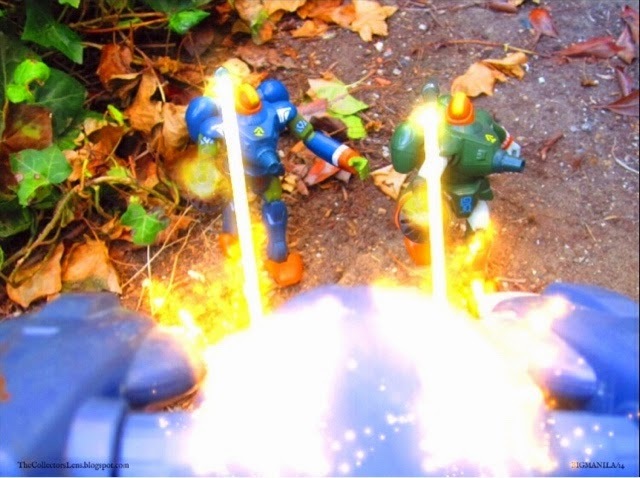 The Playmates version of the Power Armor came with a gun.This toy came packaged on a blister card with a sticker sheet and instructions.When I bought these two figures the were LOOSE (Not sealed on card). The Male Power Armor, is a powered suit which surrounds the Zentraedi pilot and functions as a powered exo-skeleton. The Male Power Armor is issued to either Zentraedi Officer's or combat veterans. Heavily armed, the Male Power Armor has a particle beam cannon for which the pilots like to use to attack RDF forces at long range. The unit is one of the most heavily armored Zentraedi unit and will take numerous direct strikes, which would destroy lesser Zentraedi mecha. 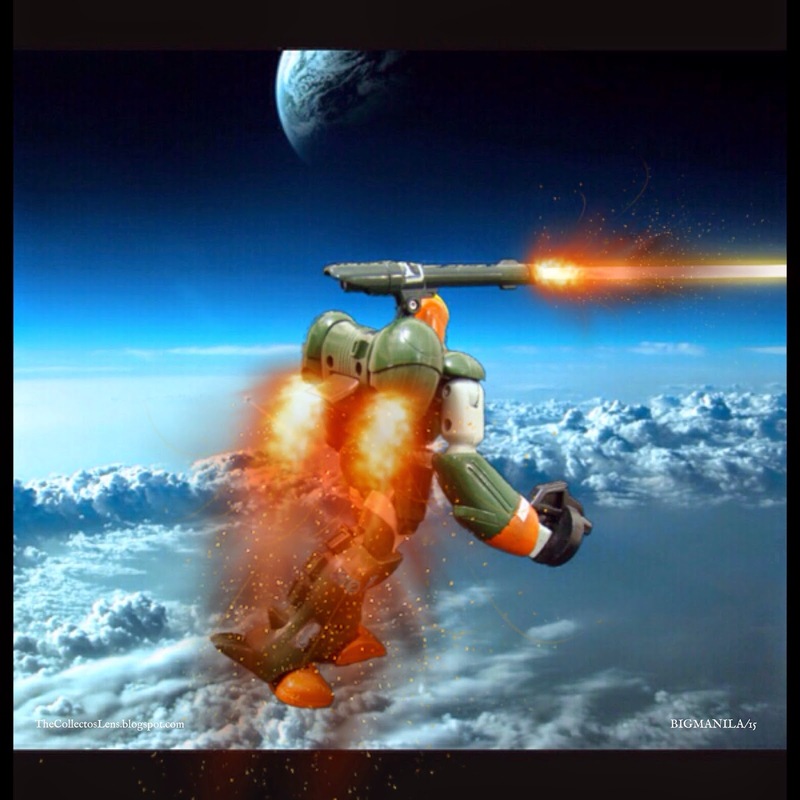 The Male Power Armor has full flight capability and can operate as easily in space, in the air or on the ground.